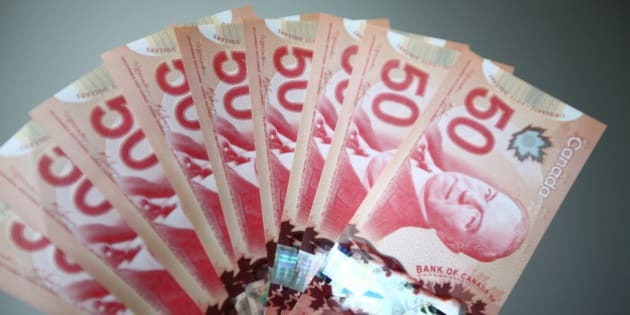 The cash reserves on which Canadian companies are sitting continue to grow, reaching a record $629.7 billion in the first quarter of this year — and the growth is accelerating. The pace is accelerating; in the prior two years, the cash hoard’s growth averaged only 6.2 per cent per year. “Dead money” is a problem in the view of many economists, because money sitting in accounts is money that is not being invested, or used to hire, or at least handed out to shareholders as dividends. And in Canada, the problem seems to be worse than in many other places. The IMF said in a recent report that idle cash in corporate accounts is accumulating faster in Canada than in any other G7 country. Cash reserves went from being equal to 10 per cent of GDP in the late 1990s, to more than 30 per cent of GDP today. The G7 average is about 25 per cent. The Canadian Labour Congress for years has been pointing to the cash-hoarding phenomenon as evidence that corporate tax cuts don’t necessarily work as economic stimulus -- the money saved ends up in corporate bank accounts, they say. But many in the business community, as well as analysts at the Finance Department, aren’t particularly worried. In a briefing for then-Finance Minister Jim Flaherty, department officials said the growing cash pile “has not come at the expense of lower capital investment or dividend payments to shareholders." Flaherty noted in the House of Commons this January that business investment in Canada had grown 6.2 per cent since the financial crisis of 2008-2009. “Sure there’s more cash, just simply because companies are growing and holding more cash,” Canadian Manufacturers & Exporters president Jason Myers told the National Post. But Erin Weir, an economist with the United Steelworkers who has focused on the cash hoard issue in recent years, says investment in the economy has fallen far behind in the years since the economic recovery began. “The story for years has been one of optimism about a recovery right around the corner that never really seems to materialize — at least not in terms of investment and employment in the real economy. But there has been a huge recovery in corporate profits,” he said, as quoted at the Post.